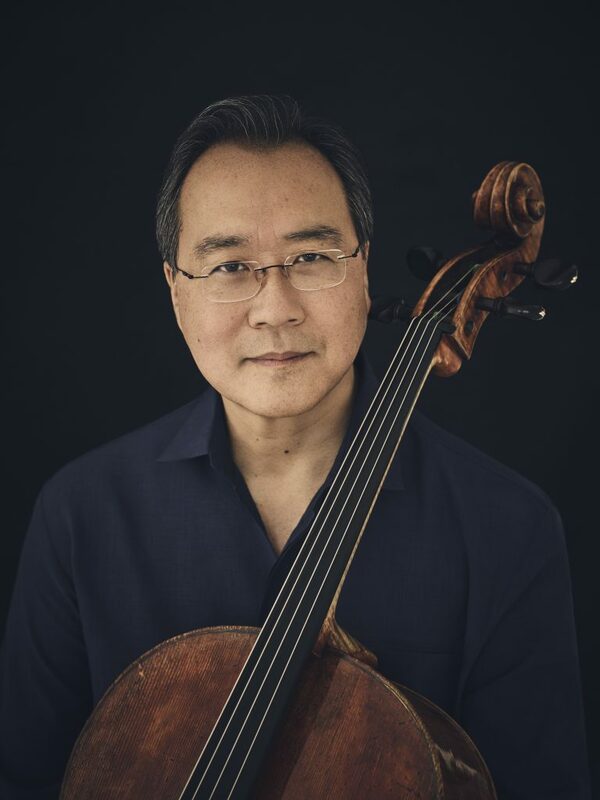 One of Mr. Ma’s goals is the exploration of music as a means of communication and as a vehicle for the migrations of ideas across a range of cultures throughout the world. Expanding upon this interest, in 1998, Mr. Ma established Silkroad, a nonprofit organization that seeks to create meaningful change at the intersections of the arts, education, and business. 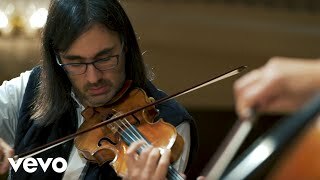 Under his artistic direction, Silkroad presents performances by the acclaimed Silk Road Ensemble and develops new music, cultural partnerships, education programs, and cross-disciplinary collaborations. More than 80 new musical and multimedia works have been commissioned for the Silk Road Ensemble from composers and arrangers around the world. Silkroad’s ongoing affiliation with Harvard University has made it possible to develop programs such as the Arts and Passion-Driven Learning Institute for educators and teaching artists, held in collaboration with the Harvard Graduate School of Education, and a new Cultural Entrepreneurship initiative in partnership with Harvard Business School. 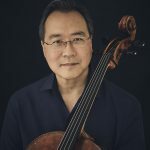 As the Chicago Symphony Orchestra’s Judson and Joyce Green Creative Consultant, Mr. Ma is partnering with Maestro Riccardo Muti to provide collaborative musical leadership and guidance on innovative program development for The Negaunee Music Institute of the Chicago Symphony Orchestra, and for Chicago Symphony artistic initiatives. 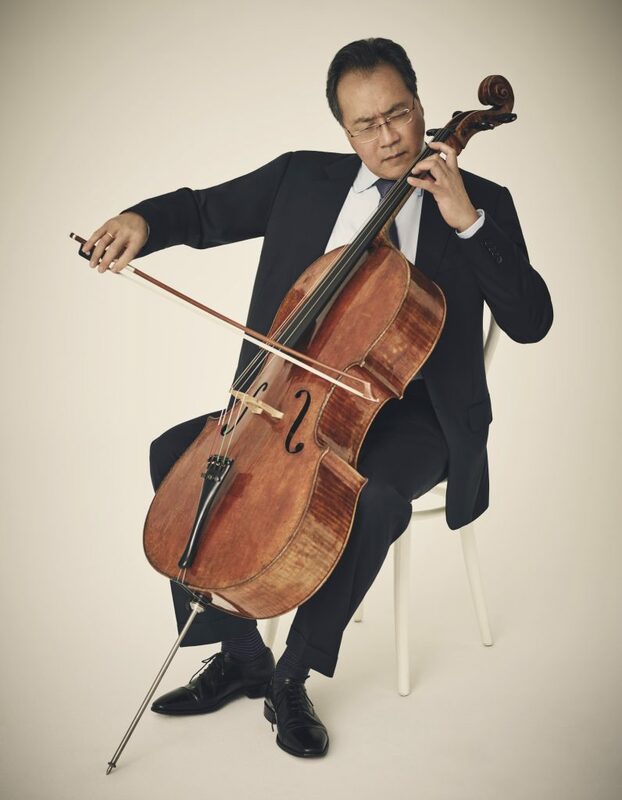 Mr. Ma’s work focuses on the transformative power music can have in individuals’ lives, and on increasing the number and variety of opportunities audiences have to experience music in their communities. In March 2016, he was appointed Artistic Advisor at Large to the John F. Kennedy Center for the Performing Arts as part of their expansive initiatives honoring the centenary of JFK’s birth and to encourage the idea of creative citizenship. Mr. Ma’s discography of over 100 albums (including 18 Grammy Award winners) reflects his wide-ranging interests. He has made several successful recordings that defy categorization, among them “Appalachia Waltz” and “Appalachian Journey” with Mark O’Connor and Edgar Meyer, and two Grammy-winning tributes to the music of Brazil, “Obrigado Brazil” and “Obrigado Brazil – Live in Concert.” Mr. Ma’s recent recordings include: “The Goat Rodeo Sessions,” with Edgar Meyer, Chris Thile and Stuart Duncan, which received the 2013 Grammy for Best Folk Album, and “Songs from the Arc of Life,” with pianist Kathryn Stott. 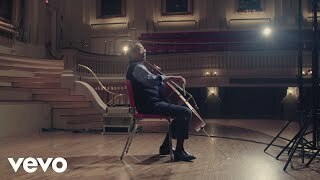 His most recent release, “Sing Me Home,” recorded with the Silk Road Ensemble, was released in April 2016 as the companion album to documentary film The Music of Strangers. Created by Oscar-winning producer Morgan Neville, the film follows the Ensemble’s more than 50 musicians, composers, visual artists and storytellers as they explore the ways art can both preserve traditions and shape cultural evolution. 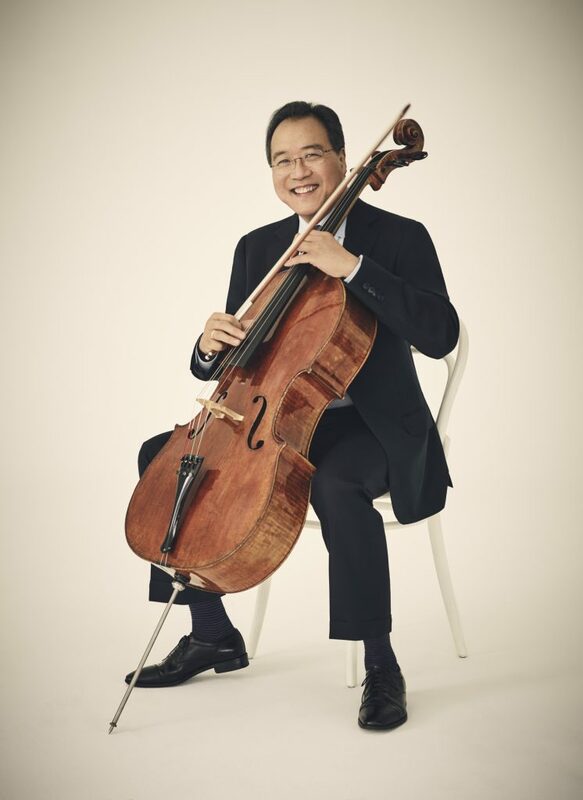 Mr. Ma remains one of the best-selling recording artists in the classical field. 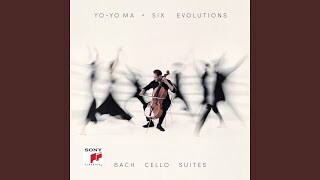 All of his recent albums have quickly entered the Billboard chart of classical best sellers, remaining in the Top 15 for extended periods, often with as many as four titles simultaneously on the list. 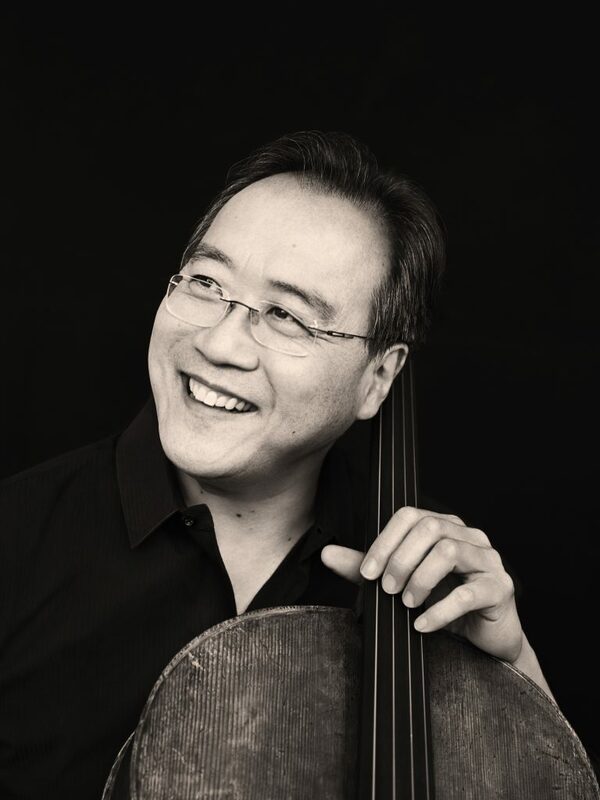 Yo-Yo Ma was born in 1955 to Chinese parents living in Paris. 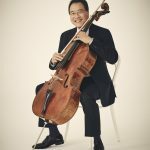 He began to study the cello with his father at age four and soon came with his family to New York, where he spent most of his formative years. Later, his principal teacher was Leonard Rose at The Juilliard School. 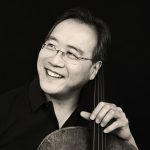 He has received numerous awards, among them the Avery Fisher Prize (1978), the National Medal of Arts (2001), and the Presidential Medal of Freedom (2010). In 2011, Mr. Ma was recognized as a Kennedy Center Honoree. He is currently serving as a UN Messenger of Peace and as a member of the President’s Committee on the Arts & the Humanities. Most recently, Mr. Ma has joined the Aspen Institute Board of Trustees. 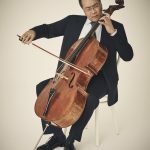 He has performed for eight American presidents, most recently at the invitation of President Obama on the occasion of the 56th Inaugural Ceremony. 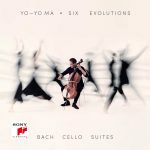 (June 22 – New York) Yo-Yo Ma will release Six Evolutions – Bach: Cello Suites (Sony Classical), his third and final recording of these works, on August 17, 2018. The album is available now for preorder, including a 3-LP 180-gram vinyl set, and the Bourrées from Suite No. 3 can be heard now on all digital service providers.